Before the mixer selfie just for Isn't She Lovely. Thank God for Smilebooth or you would be seeing only the terrible phone pictures! The drop in blogging last week was due to a fancy little blog mixer I was to attend this past Saturday. In an attempt to dress for the theme, print business cards, and enjoy the first week of summer with my girls, I was a little absent around here. Who knew it could be so hard to figure out how to get all dressed up and spend a night away from home with a good friend? A few months ago my blog designer, friend, and fellow blogger Meghan approached me with the idea of buying tickets to a mixer for bloggers. I had no clue what that really even meant, but I was pumped. I get to meet other bloggers and go on a mini trip for fun? Yes and yes! The mixer was thrown by two incredibly talented bloggers. Prior to this event I didn't know them or their blogs. Now, I am proud to say I was a part of their mixer. Savannah and Jenny threw a great party. But, more than that they presented a well organized event that is sure to draw even more talented bloggers in the future. Jenny, Savannah, Meghan, and I. Aren't we lovely? In my world, you simply cannot go wrong with coffee and cupcakes. Well done Mailchimp and Swift and Finch. Not only did I get to go to this event, I got to really spend time with Meghan. The mixer was held in Rome, GA. Meghan and I had lunch, got our nails done, lounged around downtown Rome, and had dinner and drinks all before the mixer ever started. For two busy mamas this was quite a treat. We discussed the immense pros and cons of where to buy a house, where to send your kids to school, and bucket list dreams. 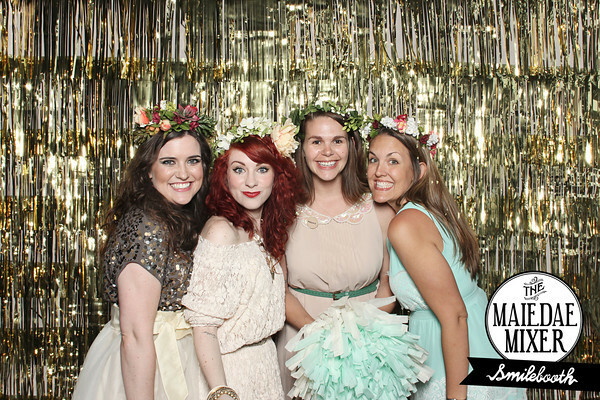 We also changed dresses/shoes/jewelry until the right mix for the occasion was achieved. Needless to say, all of it was worth the crazytown known as Atlanta DOT to get there. The entire mixer was "Isn't She Lovely" on overdrive. I met designers, photographers, and artists who also dabble in blogging about their talents and lives. I have to admit I felt a little on the older side. 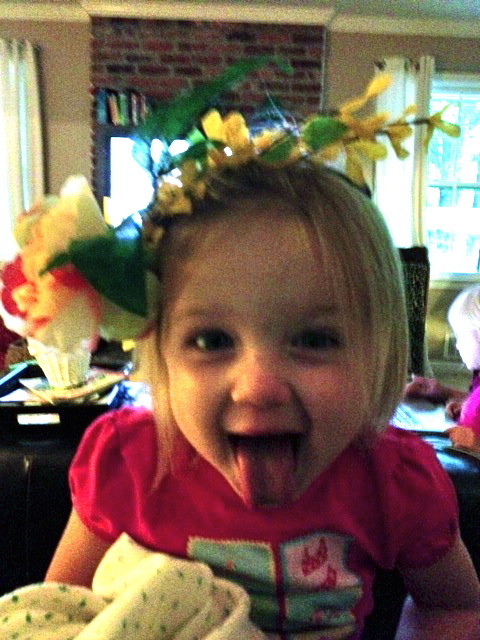 I'm fairly certain I was the only one who fell into the category of "mommy blogger". At first that intimidated me. However, as the night went on I realized it didn't matter what your blogging content was about. What mattered most was learning about women who were all trying to showcase their entrepreneurial spirit and meet others on that path. The "ethereal" theme, flower crowns and all, pushed me out of my comfort zone as well. 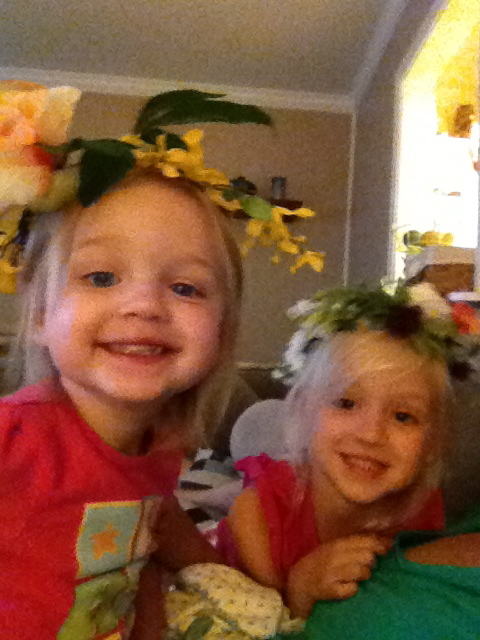 Meghan and I actually went home with the makings of flower crowns for our girls. Lila sorted the business cards I accumulated from the night and Evie hammed it up for the camera in her crown when I got home. The women I met at this event inspired me more than I can express. Thank you Savannah and Jenny for a beautiful evening with new friends. I came home with new ideas and even bigger goals for this blog. Well done ladies! 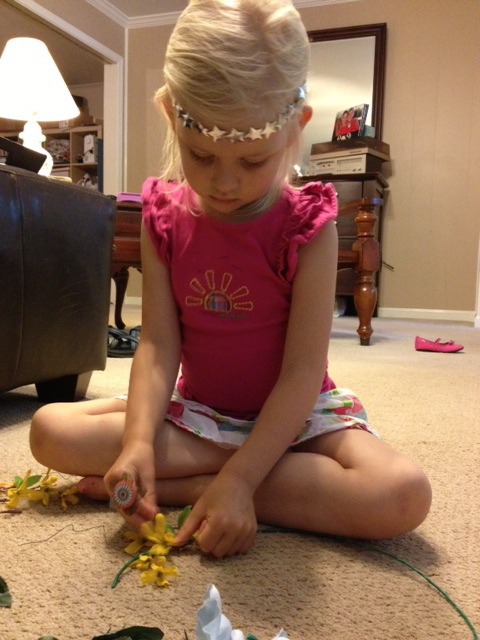 Lila making her flower crown while wearing her "Wonder Woman" gift. 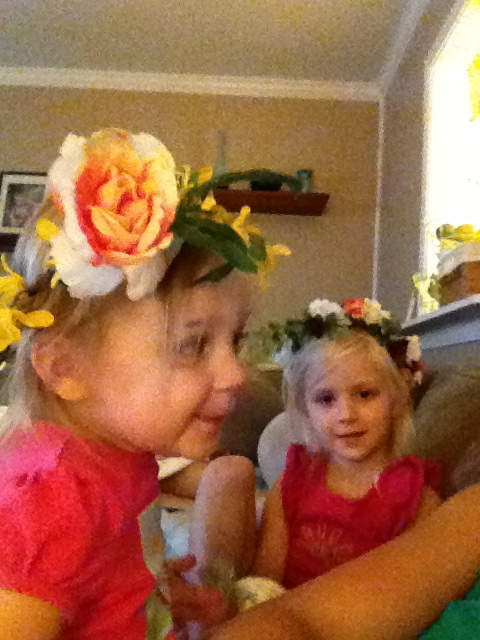 I tried really hard to get good pictures of them in their flower crowns, but they just wiggle so much! This is awesome! 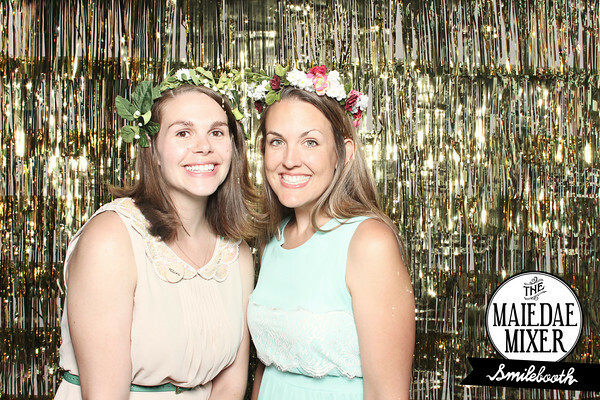 Thank you picking only the best smile booth pictures and for being my blogging partner in crime! SO wonderful!! It was such a pleasure having you at the event and we're so glad you came! Happy to know it was inspirational and a fun evening for you. Hope you see you again soon!